More organic traffic means more customers for absolutely no advertising costs. Search engine optimization is rapidly replacing in-person referral as the primary prospect and customer generation source for small and local businesses. Before the internet age, customers interacted with each other in person and developed relationships with local business owners who provided the services and products they needed. Local advertising used to work and local referrals from happy loyal customers who were part of a close community provided all the foot traffic a business needed to stay in business. As a small business owner, you’re on the front line of the social changes that the internet created. Communities no longer interact with each other, people don’t refer local businesses, and instead of heading to Main Street to find what they need, customers go to Google and search instead. Google makes it easy to find anything you need and modern shipping makes getting goods to your home practically overnight faster than ever. Local Businesses In The Top-10 Of Search Results Get Over 90% Of The Traffic. Where Is Your Business? By the numbers, it’s clear that a higher search engine ranking matters, especially if you rely on organic traffic to advertise your business. SEO is what referrals once were—the free “found you through a friend” customer that walks into the door or calls you on the phone. The problem is that everyone’s new friend is Google and the referrals come in the form of search results displayed on the front page of a search. Yes, search engine optimization for your business costs money. But the return on that investment is many times greater than what you’ll get with traditional advertising. Instead of placing an advertisement in the back of the paper no one reads anymore or a TV commercial that will be recorded on the DVR and skipped, consider investing in the steps you need to take to guarantee that the Main Street “foot traffic” of the internet finds your local business. 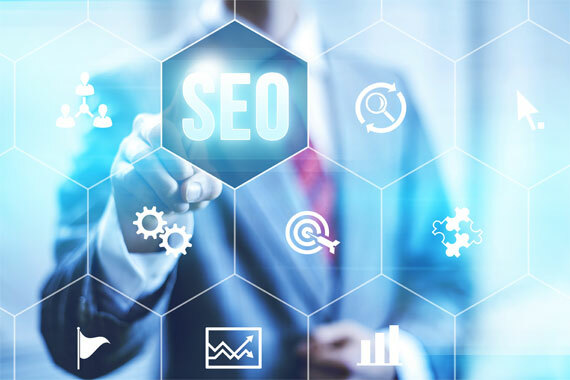 Unlike other internet marketing firms focusing on Local SEO, we don’t believe that SEO is the end-all of marketing strategies. Once you have more traffic coming to your business through organic search, you need to convert that traffic into paying customers. That’s why we also offer a full suite of conversion rate optimization, sales funnel development, and copy-writing services so that your business can extract maximum value and provide exceptional service to every single new customer that we’ll bring you through search engine optimization. Together, our services are less expensive than the most effective methods of traditional commercial or print advertising with a return on investment that will double, triple, or even quadruple the profit you’ll see from other efforts. Are you ready to see what local SEO can do for your business? We’ll set up a time to talk about the value Powerhouse Internet Marketing can bring to your business and what our services will mean to your bottom line. We’re committed to providing a full host of internet marketing services that extend beyond local SEO and we’re excited to help your business succeed.